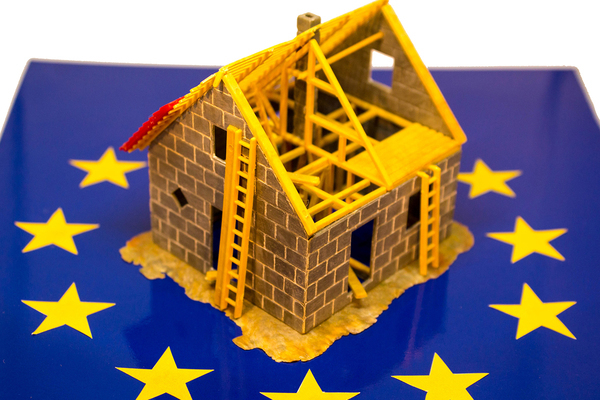 The social housing construction and operation sector is “particularly vulnerable” to the impacts of Brexit, a new report has warned. Jonathan Linton, director of the Logistics and Supply Chain Management Research Centre at the University of Sheffield, said the industry was sensitive to economic volatility expected after the UK leaves the EU next year. In a report commissioned by social housing and procurement consortium Re:allies, attached below, Mr Linton said social housing firms were also at risk. “Uncertainty, volatility and unanticipated consequences will continue to impact social housing supply chains for many years,” he said. The professor called for a more streamlined supply chain. He said social housing construction and operation performance could be improved with more information sharing, co-ordination, task modification and shifting of responsibilities within the chain. “In the short to medium term the existing supply chains should be optimised to reduce risk and to gain an increased understanding of their current practice,” he said. “As the dynamics of Brexit decline and a future stable system is approached it will be easier to adapt the existing supply chains appropriately.